You Are Here: Live Bands / Jazz Bands / United States / Louisiana / Quintin Gerard W.
Contemporary/Urban/R&B & Smooth Jazz Recording Artist Quintin Gerard W. is an Internationally recognized Saxophonist performing hits from his recording discography along with judiciously selected songs by other performers such as Michael Jackson, The Gap Band, James Brown & Miles Davis. 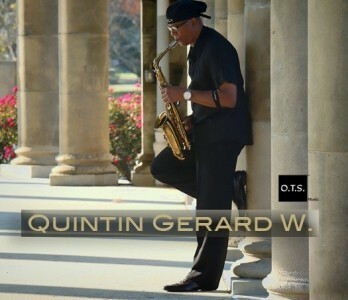 Quintin Gerard W. shows are highly scrutinized as being "Outstanding," "Amazing," and a "Must See" for all who love Contemporary Smooth Jazz & Saxophone Music! 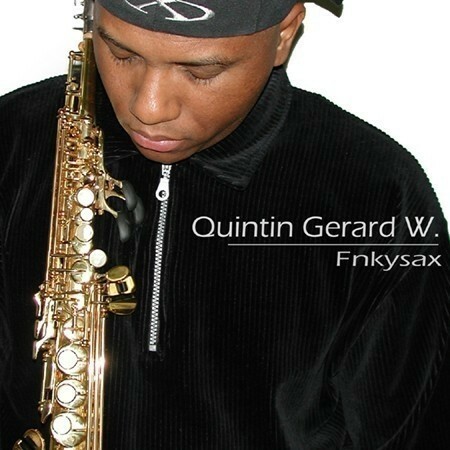 Emerging from the sidelines to launch his solo career with the independent release Fnkysax in 2004, “The Fnky Saxman” Quintin Gerard W. began noticing a fascinating trend in instrumental music once his trademark mix of sensual romance and irrepressible rhythms hit the airwaves. Not to say that his contemporary urban jazz flow was revolutionary, but it was certainly a key factor and part of the trend as artists in the genre began grooving it up more than ever before. After following Fnkysax (no “u” because it’s all about the music, not about him) with the more imp ... rovisation-focused excursion Perseverance (2006), Quintin gets back to his trademark blend of candlelight and “fnkysax” cool on his latest collection Before It’s Gone. “I wanted to show a little more of what I can do with the sax on the second album,” says the composer and multi-instrumentalist. “But it was time to reconnect with the fans who embraced my trademark sound. It’s all about infectious urban grooves and romantic songs with vocals in the background that people can enjoy and sing along to.” Before becoming an artist in his own right (at a time when being a completely self-released indie artist was a much rarer thing), Quintin spent years as a high profile sideman for a number of top contemporary jazz performers. On tour with Jeff Lorber in the early 90s, he performed at festivals with Dave Koz, Najee, Norman Brown, Fourplay and Special EFX. 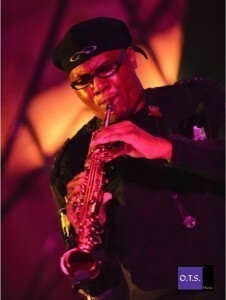 He has also been part of the renowned jazz fusion group Under The Lake (formerly based in San Diego) since the late 90s, performing around the country with them and opening for such artists as Joe Sample and the Crusaders and Stanley Jordan; Quintin also appears on UTL’s latest album People Together. He counts as his fans Clint Eastwood and Al Jarreau, and got his first recording contract upon a recommendation by none other than Stevie Wonder. 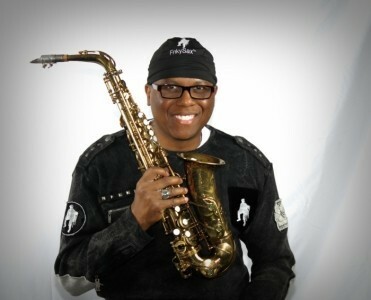 Quintin’s background includes working on TV commercials for MCI, Levi Strauss, Estee Lauder and Sears Kenmore, recording with The GAP Band, hip-hop artist Flip and the late Rick James and having tracks from Fnkysax in the film “The Golden Empire.” Living back in the New Orleans area since the early 2000s, Quintin currently writes and produces with a variety of up and coming pop singers and jazz artists. Both as a sideman and solo artist, Quintin has a unique and rich history as a live performer. Since emerging with Fnkysax, he’s performed everywhere from Orlando and Reno to the House of Blues (opening for Michael Franks) and Harrah’s in New Orleans, and the Montgomery Jazz Festival in conjunction with WVAS-FM. In the 90s when he toured with Jeff Lorber, the saxman performed at such high profiles places as Jack London Square in Oakland and the KIFM Anniversary Festival in San Diego. With Under The Lake—which recently had a reunion concert in Seattle—Quintin has opened for Joe Sample and The Crusaders at the Maui Cultural and Performing Arts Center and Stanley Jordan at the House of Blues in Los Angeles. Before It’s Gone gets off to a seductive start with the sweet, soulfully atmospheric soprano ballads “Sweet Ladies” and “Words Can’t Describe,” then eases into a hypnotically trippy chill mode (complete with cool ambience, spacey sound effects and clever sax-flute harmonizing) on an invitation to “Buy That Ring.” A lovely and soothing female voice invites the listener to experience “Nighttime Pleasures” during a brief but emotional interlude that leads to the other side of the coin on the reflective and slightly melancholy beauty of “When Things Don’t Go So Well.” Dramatic film score lush ambience meets some of Quintin’s dynamic sax improvisations on the melodic, vocal-laden title track before the saxman eases into the upbeat, lighthearted call during these trying times to “Be Happy People.” He was studying calculus when he wrote “The Asymptote,” a throwback to high energy 90s house music whose title refers to two lines which come together but never quite touch—a romantic metaphor! 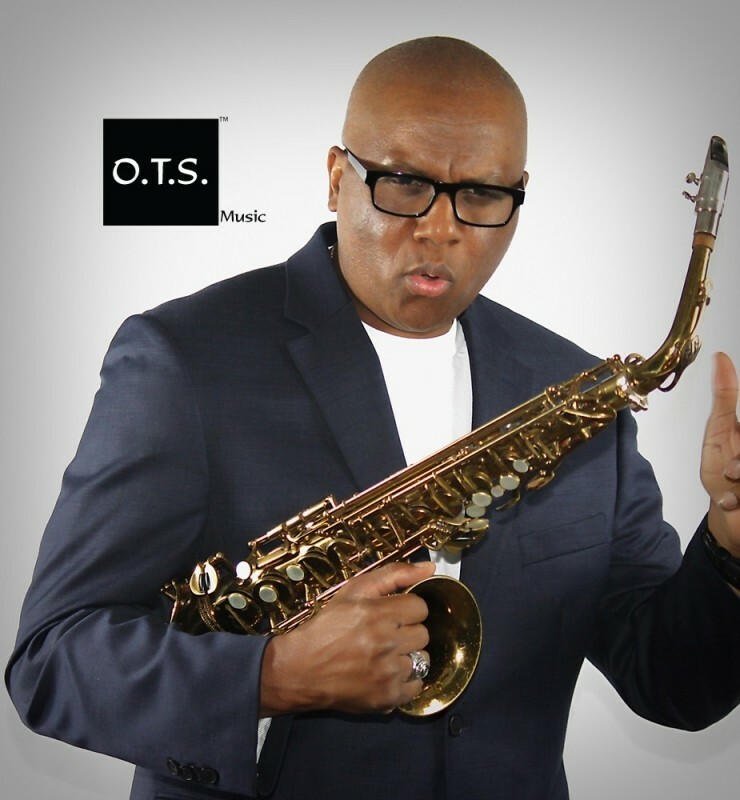 Quintin taps into his love of gospel on the uptempo “Our Day Will Come,” then adds graceful flute touches to the thought provoking, futuristic Joe Sample-esque ballad “Nevada Nights”; while Quintin handles the album’s keyboards himself, this track features a lovely piano solo by Eric Nicholas. A native of Norco, Louisiana, Quintin Gerard W. attended Destrehan High School, where his formidable musical talent earned him a place in numerous concert and jazz honor bands in Louisiana and the New Orleans area. Awarded a music scholarship Loyola University of New Orleans, he studied Jazz Music Performance and Education and had the opportunity to study from jazz master Ellis Marsalis. 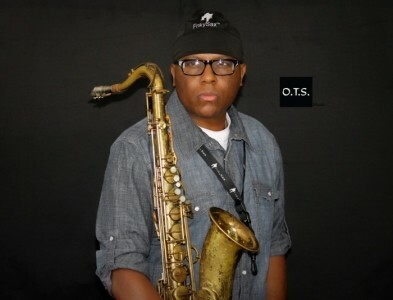 In 2003 Quintin relocated back to his original roots in Louisiana and resumed his undergraduate studies; he later graduated from Southeastern Louisiana University with a Bachelor of Arts Degree in Business Administration/Management. As a result of his effort and studies at SLU, Quintin was accepted into the Sigma Alpha Lambda National Leadership and Honors Organization and The National Scholars Honor Society for his outstanding academic and personal achievements. He is also a licensed private pilot currently working on his Instrument Rating (IFR) who enjoys the freedom of flying to remote destinations that are inaccessible to commercial airline travel. 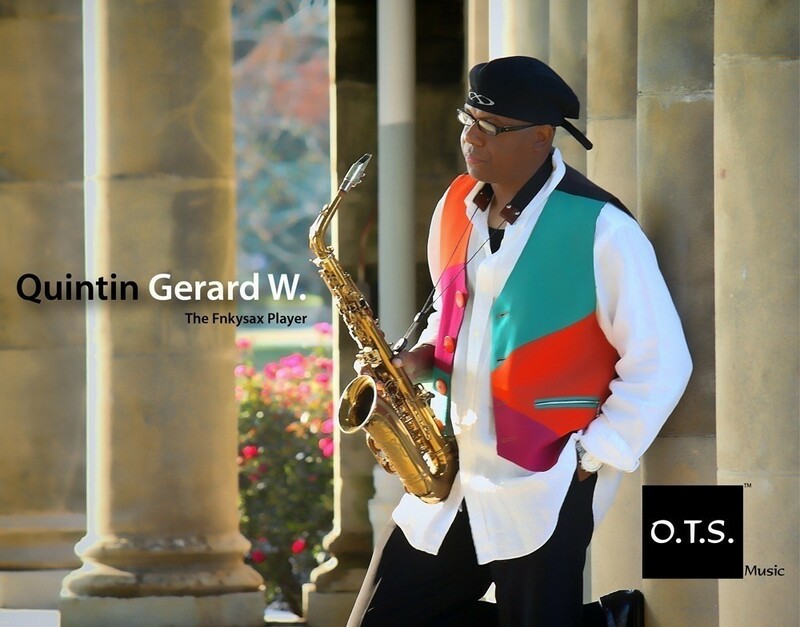 Quintin Gerard W. has been performing for over 30 yrs and has been recognized globally for his outstanding work and contribution to Jazz Music! Wedding Reception Entertainment Private Parties Corporate Events Product Launches Trade Shows Smooth Jazz Christmas Party Events Cruise Ships.